What are picarones with chancaca syrup you may ask? Technically, they are sweet potato doughnut with molasses syrup. 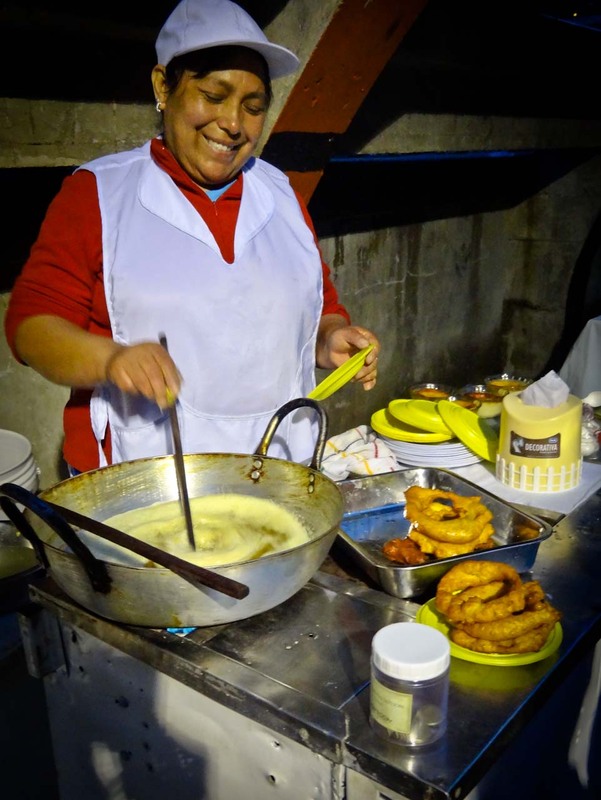 But in reality, they are the most delicious finger licking doughnut type of food you can find in Peru. These were deep-fried from a cart by the stadium in Aguas Calientes, near Machu Picchu. how big of a smile they put on my face. These picarones set me back a full 2.50 peruvian soles. That’s not quite a full dollar of deep-fried happiness right there. Think. Just think about it and let me know in the comments how you could better spend ONE dollar?